I’m not one to complain about many things but when the ground has become too saturated to even get down to the greenhouse without slipping, I get cabin fever. I attempted to go down this morning and gave up. 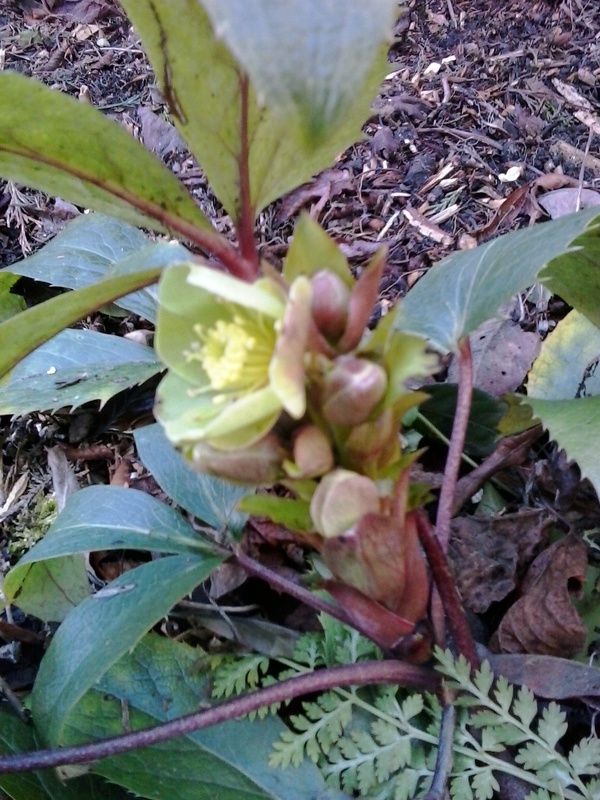 Having said all that the garden is really waking up with dozens of Hellebore flowering making the work of planting out seedlings well worth while. 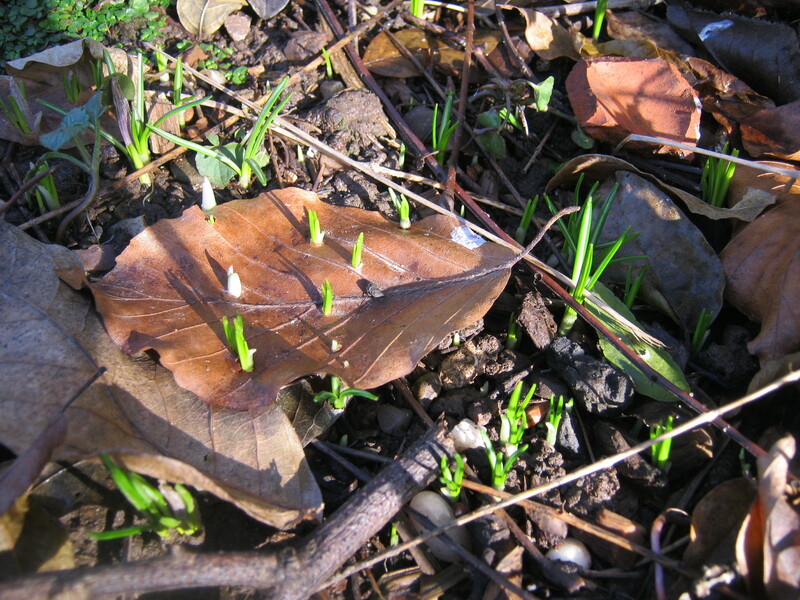 Snowdrops have finished and now seed pods are starting to form, tiny Daffodils and Crocus have taken their place covering the garden in a sea of lavender blue and gold. Just outside our backdoor on the old air raid shelter, we call the outhouse, is an unknown Chaenomeles, this is the only plant that we inherited from the previous owners of our house back in 1978. Still going strong. I have a feeling that this picture below has featured in a post before, after all the rain we have experienced this morning I think it is quite apt…. Over the last few weeks the sewing room has taken over what with a jacket for me, some dressing up clothes for the G/daughters school Book Week and a new jacket under way for Mr Malc. I decided to have a break and sow some seeds. 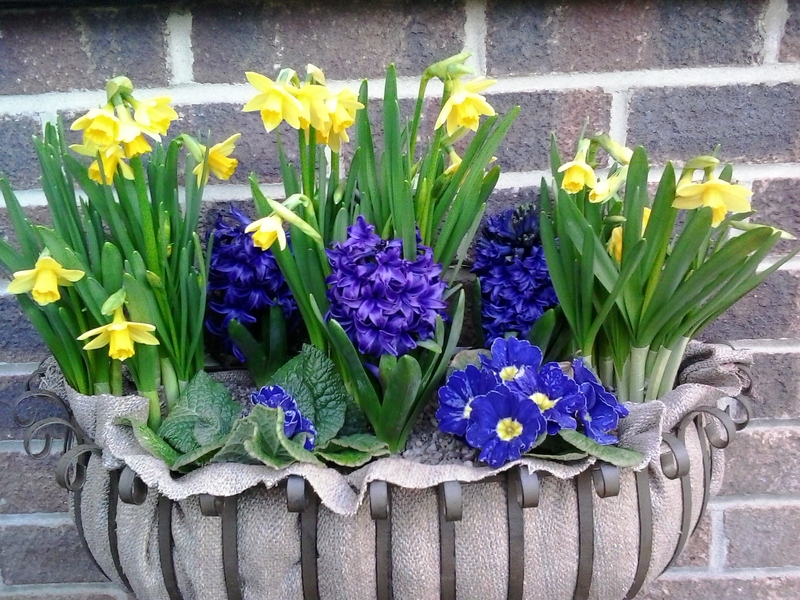 This I did last Saturday and several pots came up in 3 days, I didn’t think it was that warm. During the autumn I had sown sweetpeas which came up in abundance only to be grazed by mice, probably the same ones I disturbed when I tidied the back of the greenhouse. Anyway I have now moved them to the shed and they are now growing away nicely. 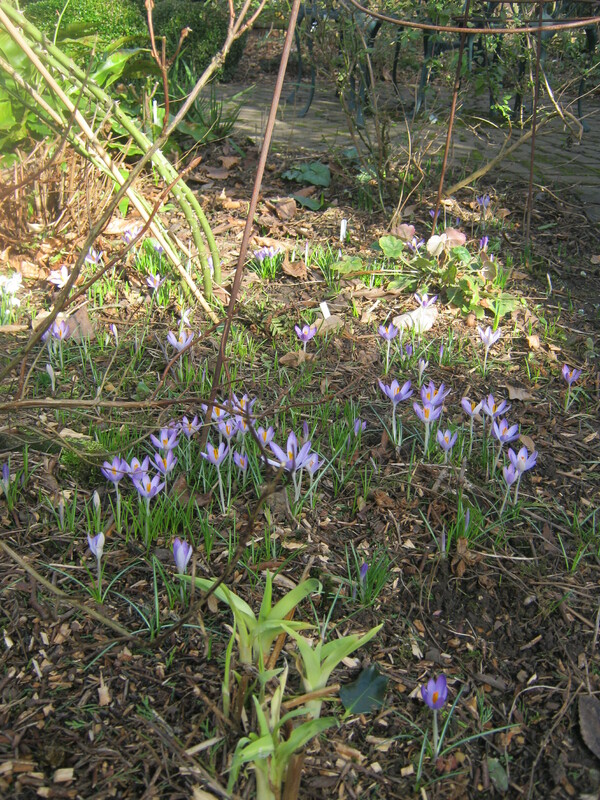 So what follows are a few pictures of what caught my eye while walking around the garden a couple of days ago. My sister got me this basket for my birthday last December, so I’ve filled it with plants bought from Stones on the market in Nottingham, always a first stop for good quality plants. Nothing unusual but reliable fillers. 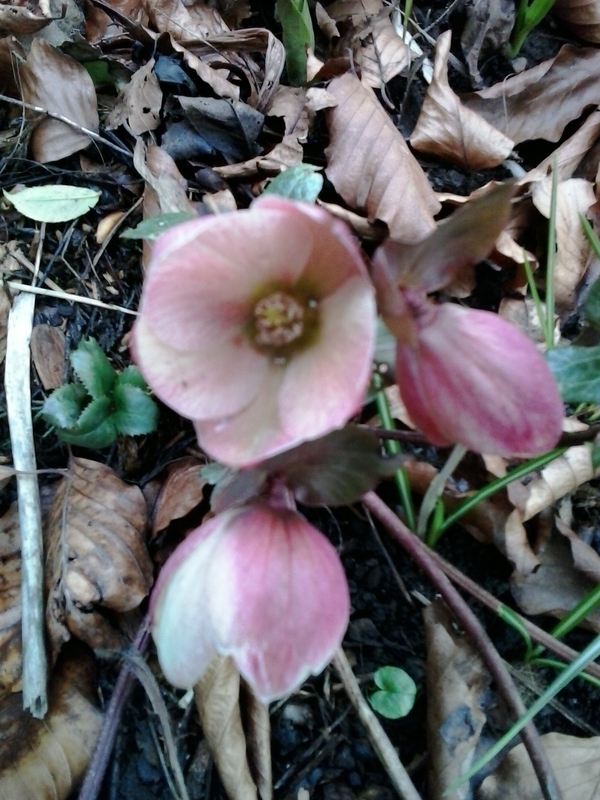 An unnamed Hellebore, looks like the leaves are going to be interesting. 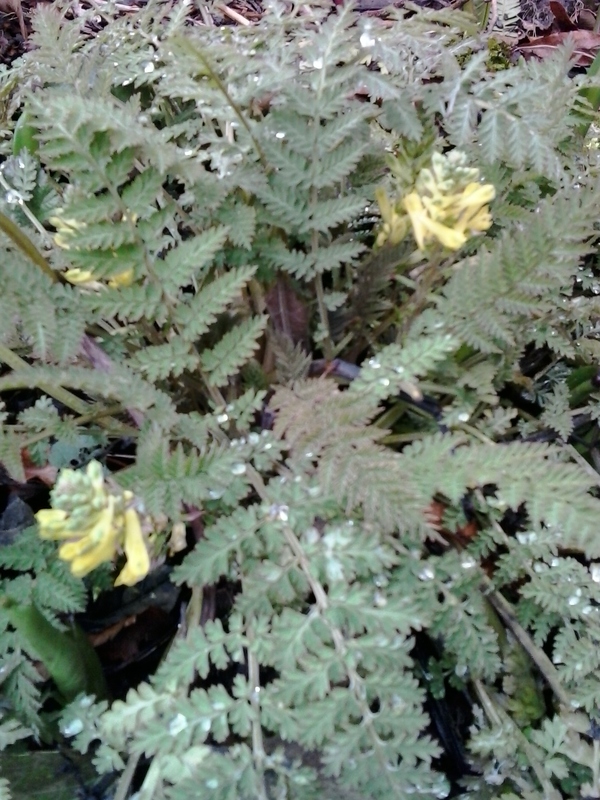 Corydalis cheilanthifolia, I really like this, it’s more accommodating than the annual thug you get. The leaves are a fresh green/grey and I don’t find it seeds all over the place. 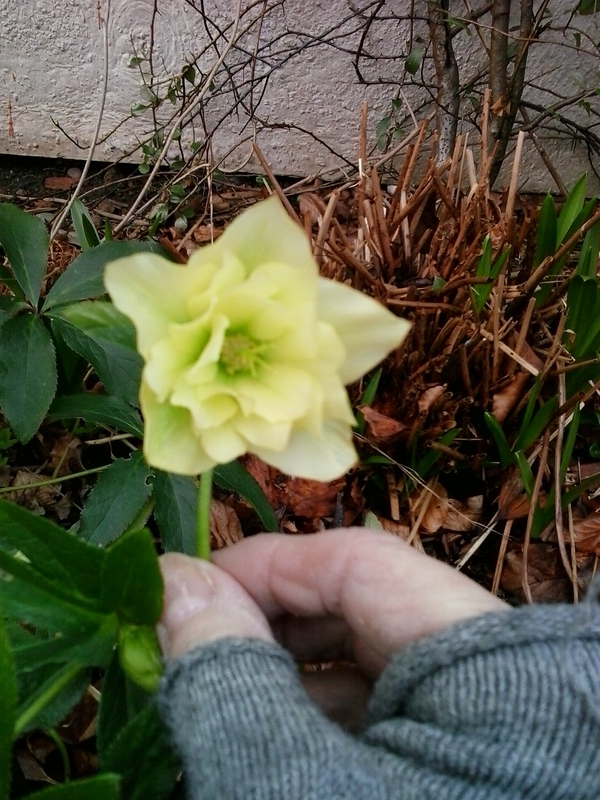 One of the yellow Hellebores I bought last year. 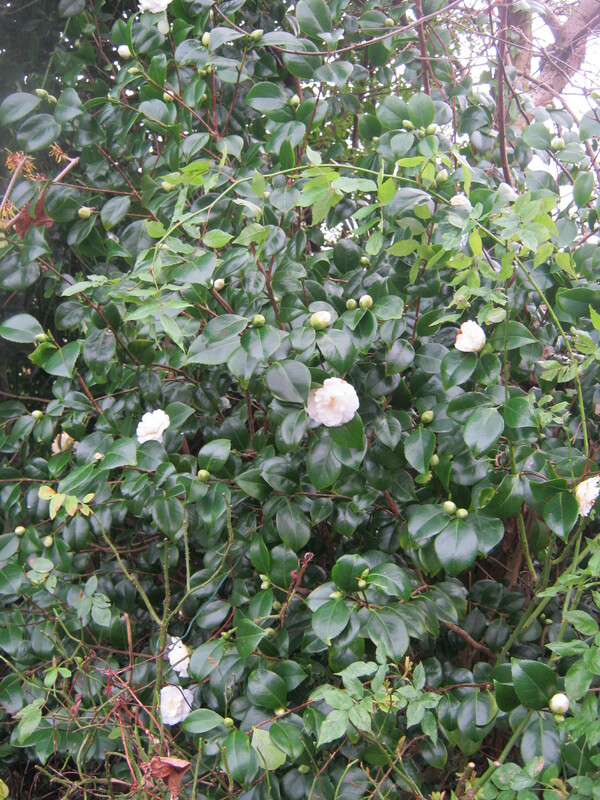 And the double is flowering nicely too. 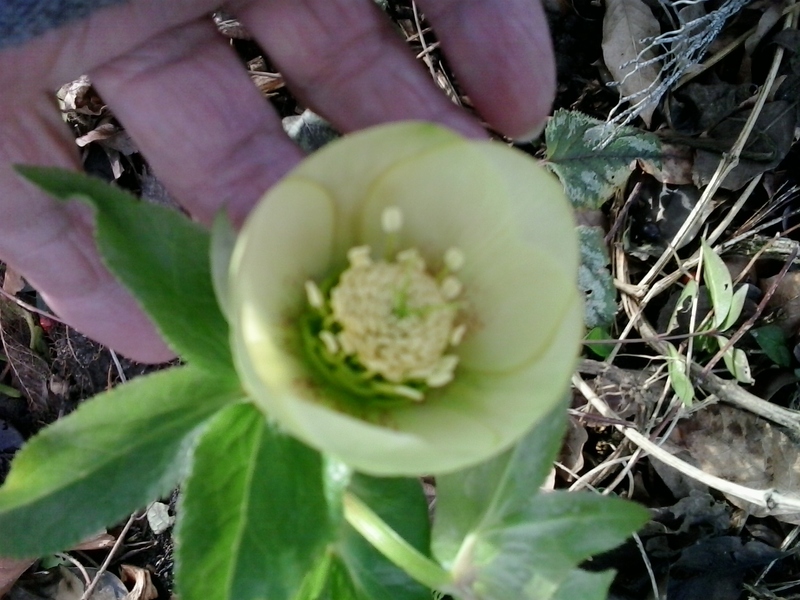 This Hellebore I grew from seed many years ago. In my daughters garden it grows to about a metre tall and is very bushy. I lost my original plant so this is a seedling from that plant. 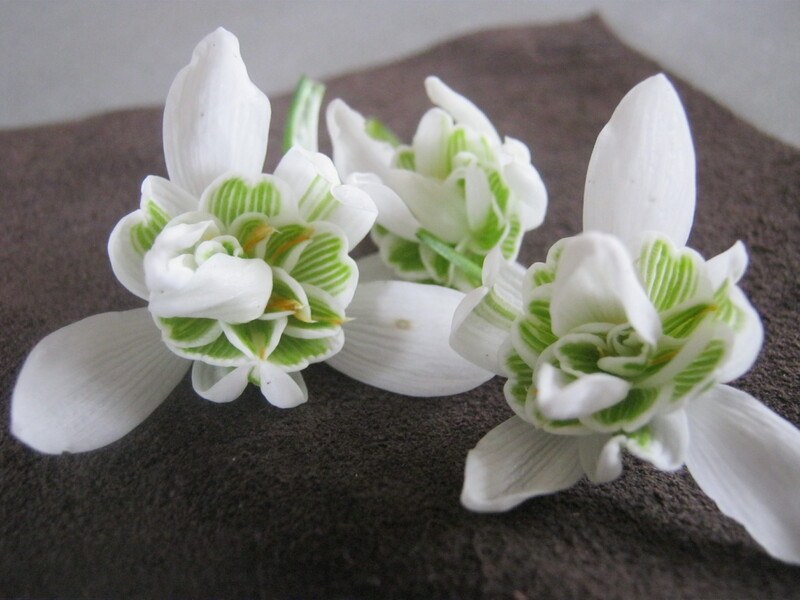 My daughters must be very sheltered as I have known it flower way before xmas in the past….any ideas…?? 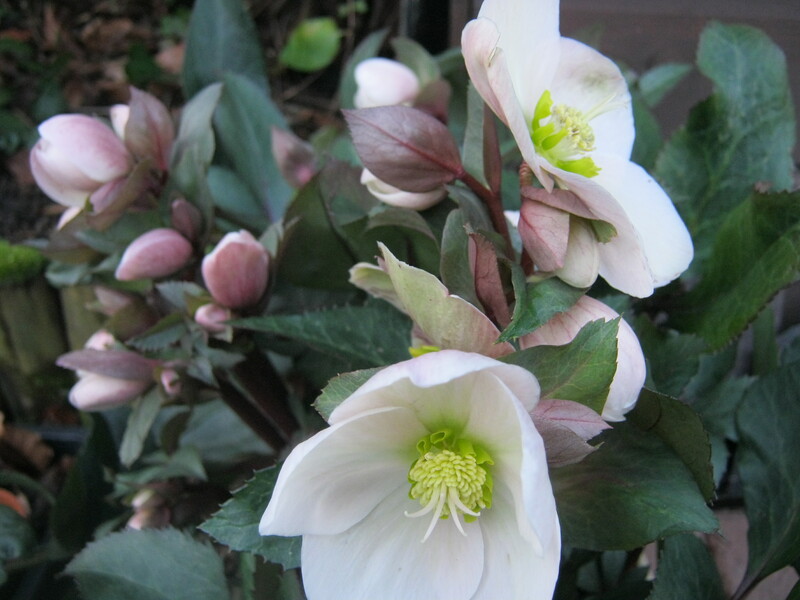 The unnamed hellebore at the top of my pictures could possibly be a seedling… ?? Another moist walk around the garden. 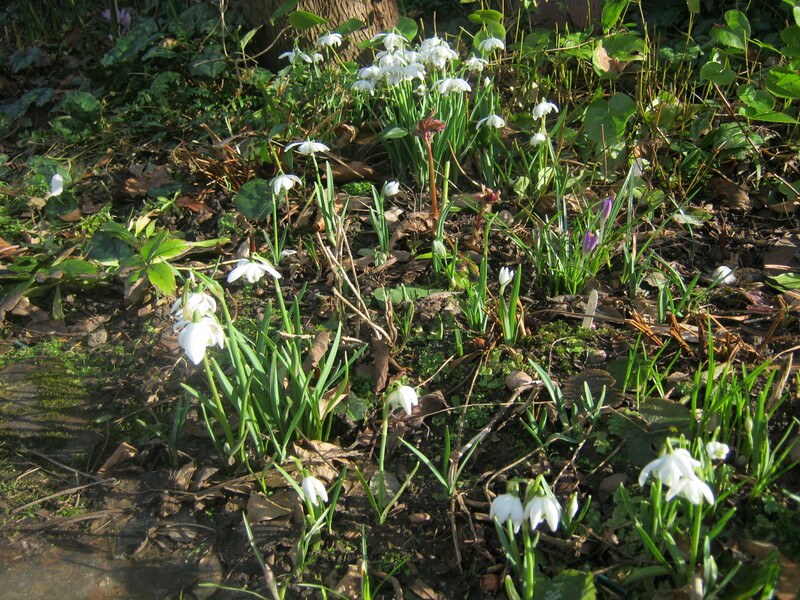 Loads of snowdrops out, they seem to be bulking up nicely. There are large groups all over the garden now. But what do you make of these? 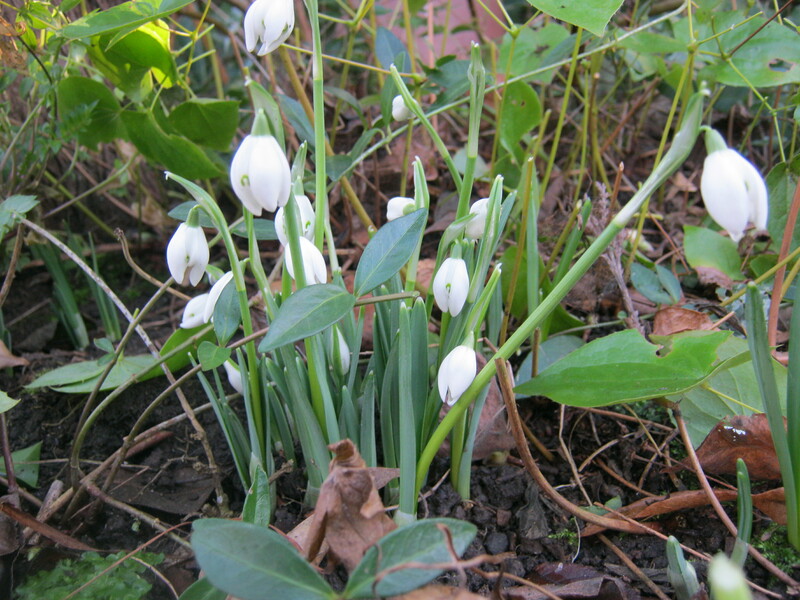 Are they Mutant Ninja Snowdrops? I’ve never planted anything that looks like this. I’m not even sure that I actually like them, I much prefer the more stately single. 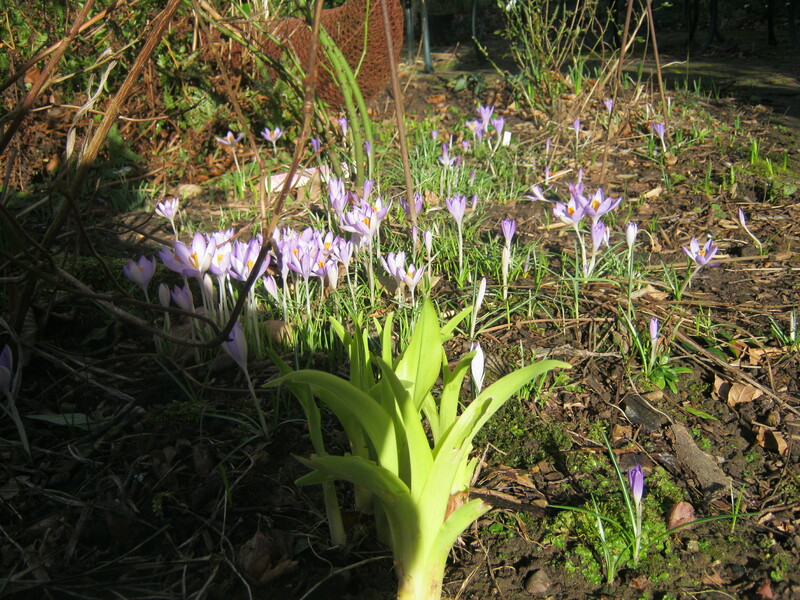 I’ll leave that one with you…..
Now I have no name for these crocus, there was a small clump in the garden when we moved in 35 years ago and now they are everywhere.They are a very welcome sight, every spring the ground fair lights up in the sun. 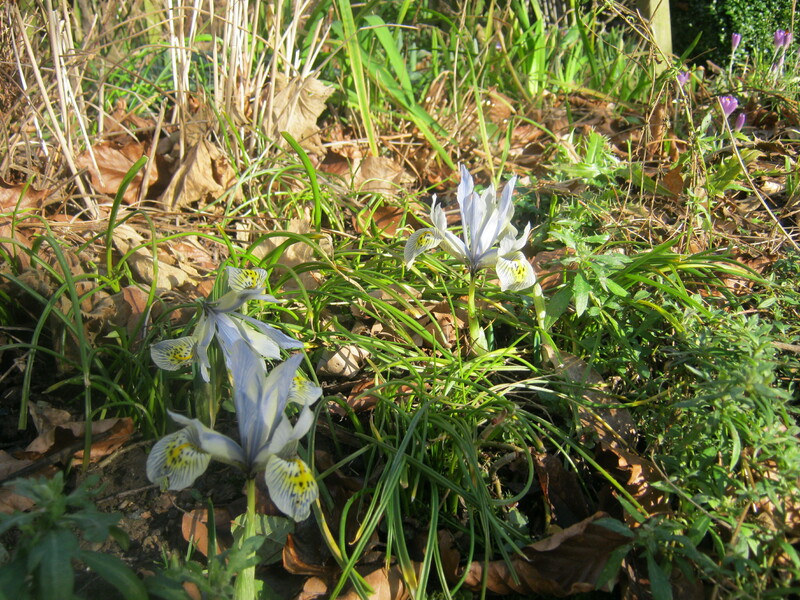 At long last Iris ‘Kathrine Hodgkin’ is flowering, usually this iris gets very badly eaten. I suppose I should grow it in a container, but if I can, I would rather keep the pots to a minimum in the winter. The colour on the petals is striking, especially for this time of the year. And just a taster of what is to come in another couple of months. 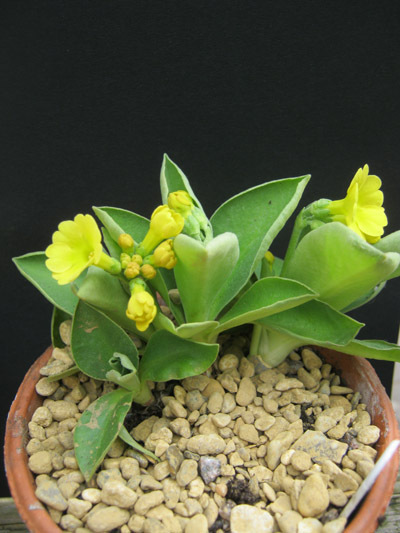 This is a seedling Auricula, flowering in the greenhouse. Just shows how warm it’s been lately….. So the weather for part of this week was a little kinder, it allowed me to potter for a short while and to take stock of forthcoming jobs. Last weekend we went to Castle Donnington (more in another post later ), but as usual I found a bargain plant.Yet another Hellebore, this time Helleborus x ericsmitthii Pink Frost. Reading up about this later I find that it ages to dark red, I will keep you posted. Anyway back to the garden. I have been clearing some leaves away, and it never fails to amaze me what I find . 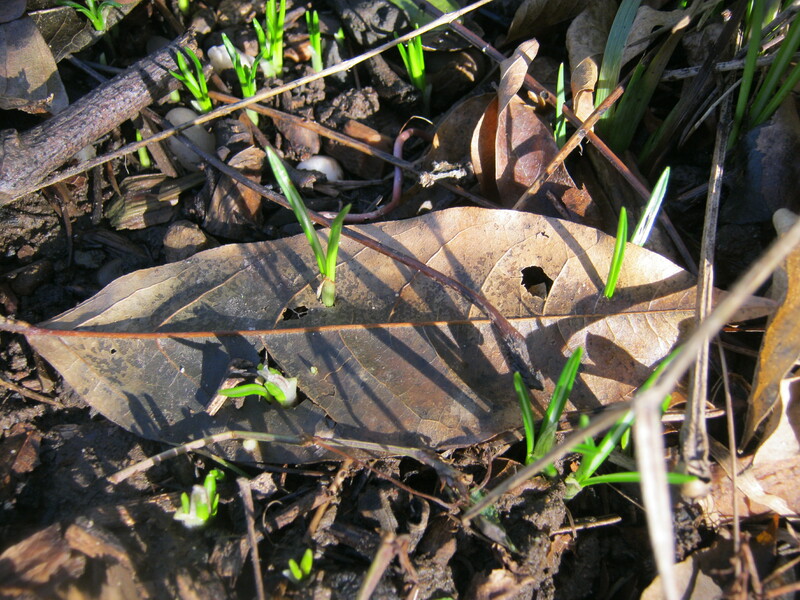 Crocus shoots pierce a leaf…. 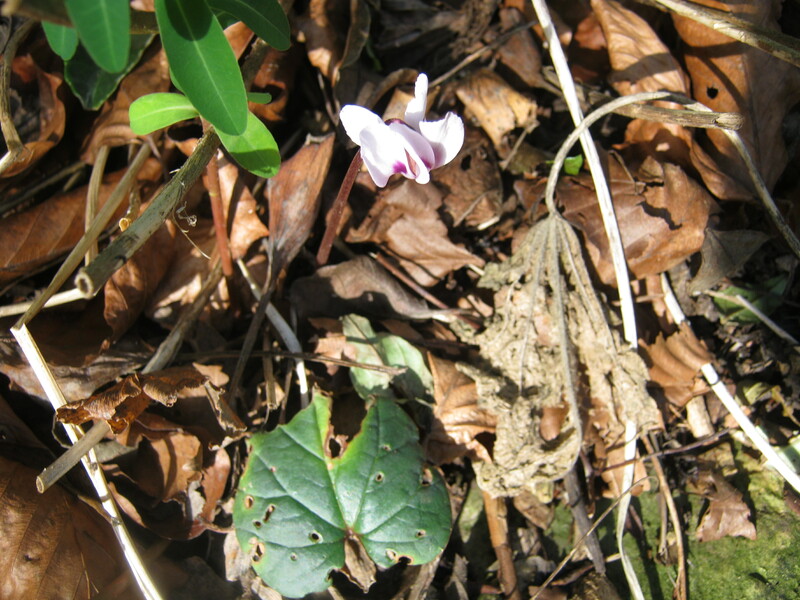 Cyclamen Coum, 2 days later I found 3 more buds. 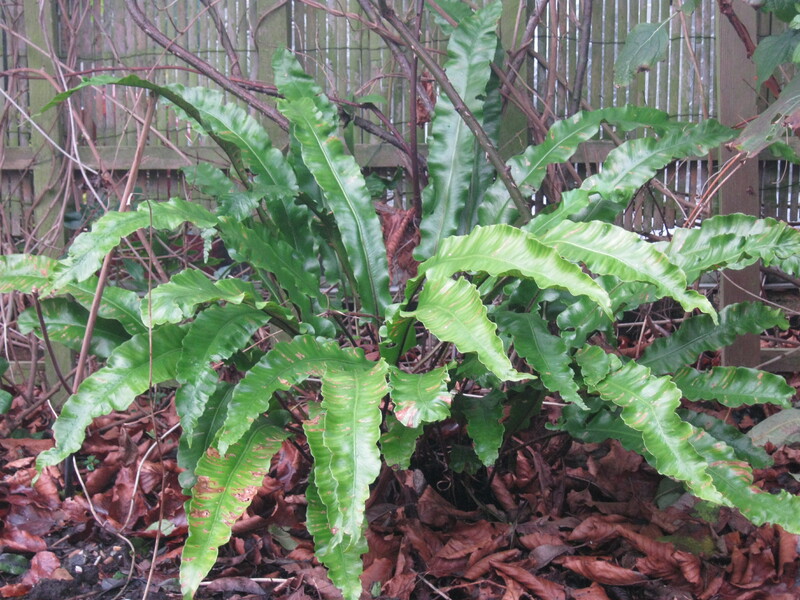 Looking splendid among the leaves..an unnamed fern…. 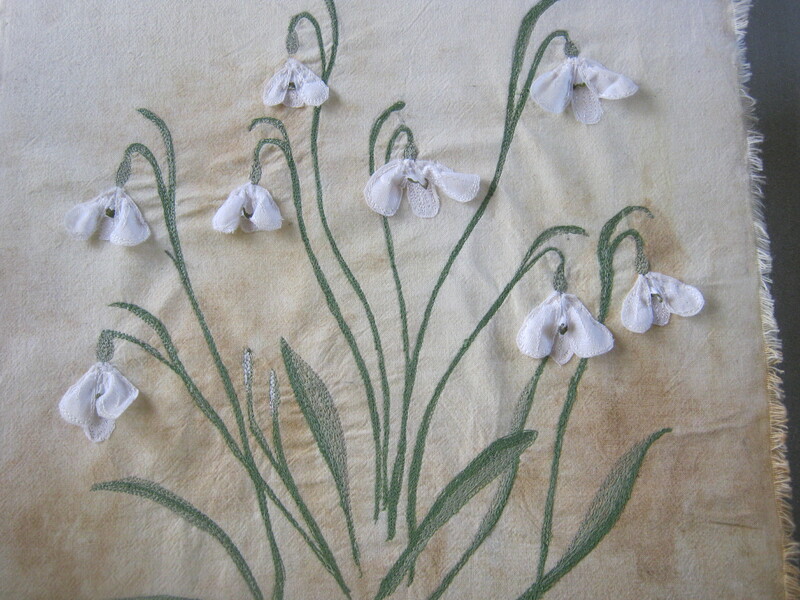 Free Machine embroidery and applied flower heads…. 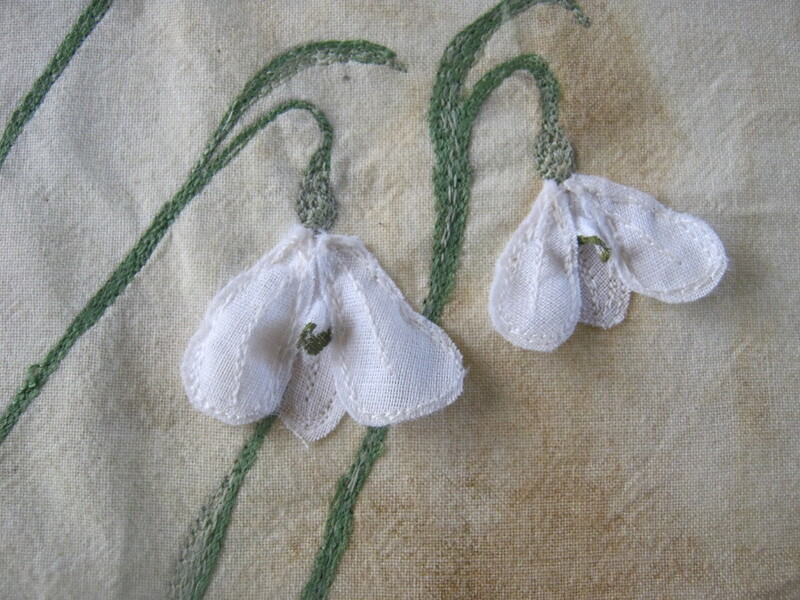 Made in 2008…this hangs with the Eucomis. I just hope that the weather clears for everyone down on the south west of England. They sure have had their fair (or unfair ) share of it. Our thoughts are with you all.